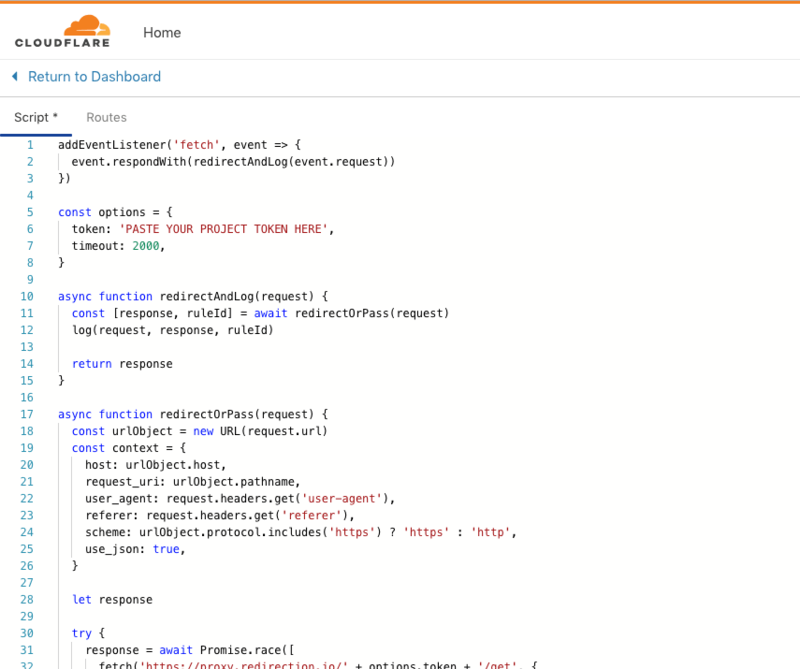 In a traditional Cloudflare setup, Cloudflare acts as a http proxy, and proxifies each and every request to your application, completely hiding your stack. 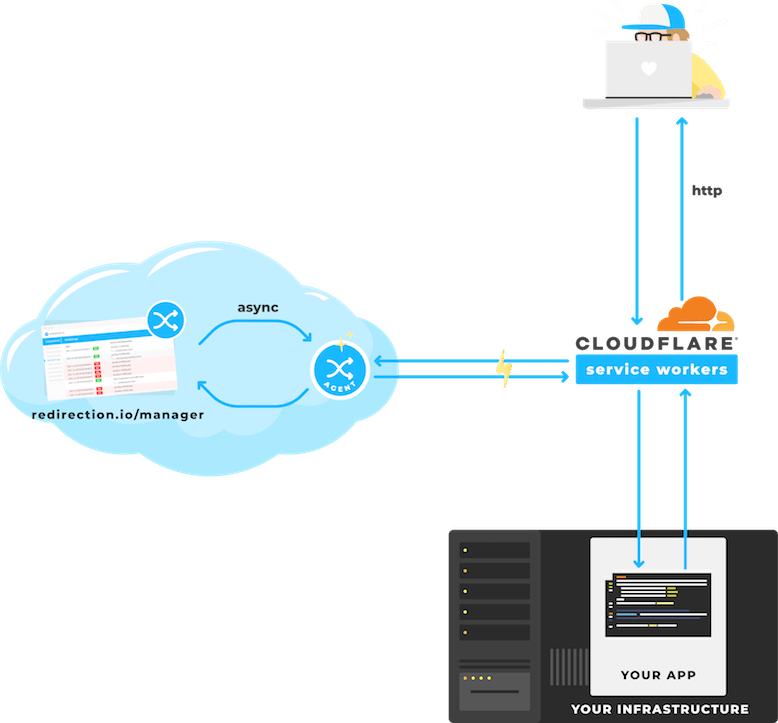 You can however take advantage of Cloudflare Workers to make more from Cloudflare, and directly run redirection.io "on the edge", without even using your own infrastructure. 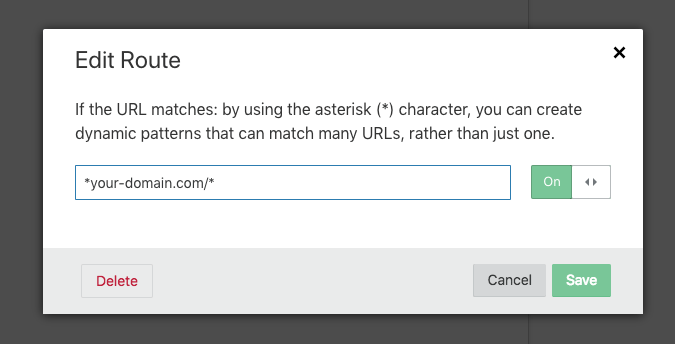 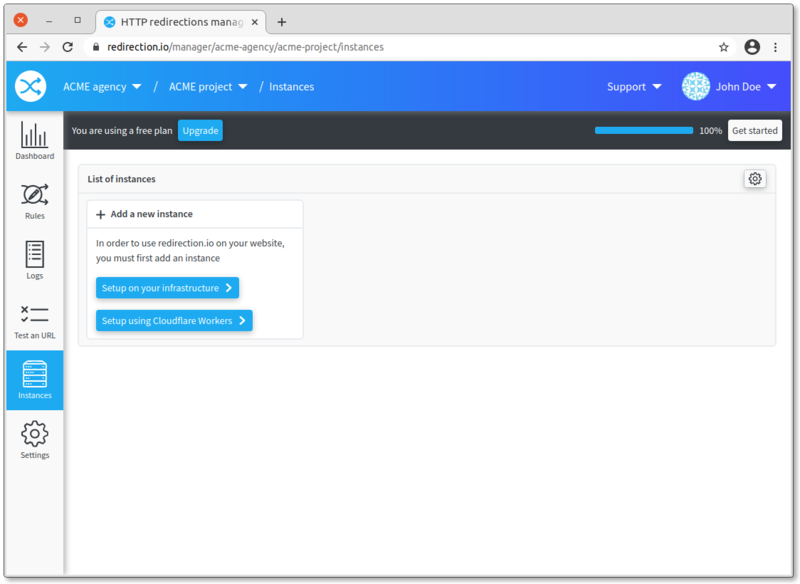 head to the "instances" screen of your project, and locate your "project key"
in the "Routes" tab, enable this Cloudflare Worker for your whole website.